Honey bee losses slowed in the past year, according to an annual survey by the Bee Informed Partnership. The national survey found beekeepers nationwide lost 33 percent of their honey bee colonies from April 2016 through April 2017. That's the lowest annual loss since 2011-12. But bee losses are still double the acceptable rate, according to project director Dennis vanEngelsdorp, an assistant professor of entomology at the University of Maryland. "It's coming down and that trend seems to be consistent, but it's still much too high and so it's better," vanEngelsdorp said. "But it was horrible and now it's just bad,". 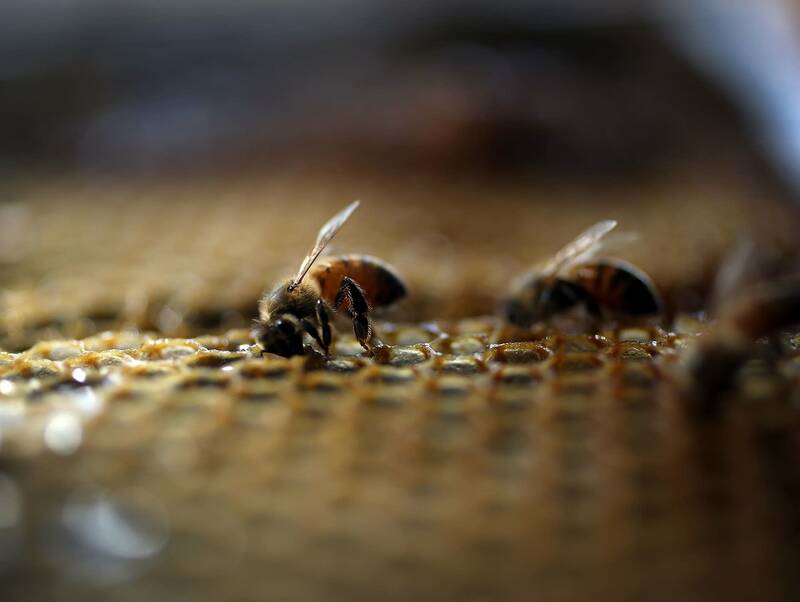 vanEngelsdorp suspects the decline in bee colony loss is the result of better control of the varroa mite, a parasite that many scientists consider the leading culprit in bee deaths. "We also run a survey where we're actually taking samples of bee colonies across the country, the national honey bee disease survey. And what we did notice was last September we had the lowest varroa mite load that we've ever had since we've been monitoring," he said. But varroa mites are still a significant problem, and vanEngelsdorp worries that bees face growing environmental risks. "There's increasing evidence of pesticides playing a very important role and not just insecticides which you would expect to be bad for bees because bees are insects, but also we're finding increasing evidence that fungicides might be causing a problem," he said. • Related: What are insecticides doing to Minnesota bees? Poor nutrition is also a key contributor to bee losses. vanEngelsdorp said in many Midwest states the expansion of corn and soybean production means there are fewer flowering plants on the land to feed bees. vanEngelsdorp believes if varroa mite infestations in bee colonies can be reduced, scientists will be able to better focus on understanding how pesticides and poor nutrition damage bee health. The Bee Informed Survey collected data from nearly 5,000 beekeepers in all 50 states.